Ian Frazer is a Scottish-born Australian scientist whose research gave the world the first vaccine against HPV causing cervical cancer. With this biography, know about his life. 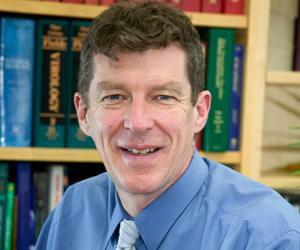 A Scottish-born Australian scientist, Ian Frazer is one of the most recognized names in the field of immunology. His eminent service in medical investigation is noteworthy for it was his research that led to the development of a vaccine against human papillomavirus (HPV) that causes most cervical cancers. From an early age, Frazer was determined to pursue a career in research. Thus, after obtaining a degree in medicine and surgery from University of Edinburgh, he started training himself as a renal physician, investigating the immunological issues associated with transplantation. It was his growing interest in immunology that took him to Australia where he enrolled at the Walter and Eliza Hall Institute and the rest as they say is history. After years of research, he, along with his colleagues, came to the conclusion that there is a connection between HPV and cervical cancer. He also determined that the immune system played a dominant role in the ability to protect against HPV-linked cancer. Presently, Frazer holds the seat of the director of various organizations and institutes aimed at researching immunoregulation and immunotherapeutic vaccines. Ian Frazer was born on January 6, 1953 in Glasglow, Scotland to medical scientist parents. His parents’ profession had a deep influence on the mind of young Frazer who aspired to become a scientist himself. Young Frazer attained his preliminary education from Aberdeen private school after which he studied at the Robert Gordon’s College. At both the institutions, he excelled in science which determined the future course of his life. 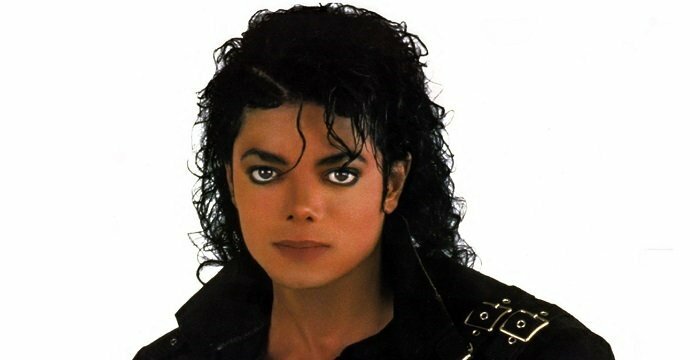 He joined the University of Edinburgh and completed his obtained Bachelor of Science in 1974 and M.B.B.S. in 1977. From 1978–1979, he worked at the Edinburgh Eastern General Hospital, the Edinburgh Royal Infirmary and the Roodlands General Hospital in Haddington, receiving training as a renal physician and clinical immunologist. He investigated the immunological issues associated with transplantation. He spent much of the early 1980s conducting research on hepatitis B virus at the Walter and Eliza Hall Institute. To zero in on his findings, he studied a group of homosexual men, as they were usually prone to a high risk of chronic Hepatitis B. From his study of homosexual men, he discovered that the immune system of a significant number of patients were unable to clear Hepatitis B infection. In 1981, he discovered that similar cases of immunodeficiency afflicting homosexuals were found in gay men around the world. Suspecting a viral origin, he along with his colleagues tested the immune-impaired unit for a variety of viruses that were known to cause immune problems. It was after much finding that he discovered that the then recently identified virus, HTLV-III, later known as HIV was a cause. It was due to his work that scientists confirmed that HIV was the cause for Acquired Immune Deficiency Syndrome or AIDS. Furthermore, he discovered that AIDS patient had difficulty with genital warts caused by the Human Pappilloma Virus (HPV), which in turn were inducing precancerous cells. He believed that the immune system played a vital role in protecting against HPV linked cancer. Through his research he confirmed that immunosuppressed patients couldn’t clear the virus which resulted in uncontrolled HPV infection, causing cancer. In 1985, he moved to the University of Queensland where he took up the post of a Senior Lecturer and Director of Immunology at the Princess Alexandra Hospital. 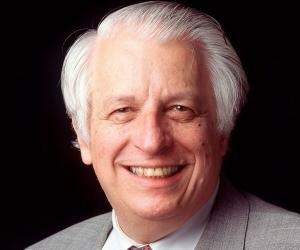 It was there that he conducted research on HPV in men, thus contributing in the HIV research. In 1988, he was offered Doctor of Medicine qualification. Eventually, he founded and became the director of the Queensland Centre for Immunology and Cancer Research. He was amongst the first scientists who studied the link between HPV and cervical cancer. It was while on a sabbatical to Cambridge University in UK that he first met Dr Jian Zhou, who much like him was also interested in HPV. Together the two researched on HPV and came out with ground-breaking discovery. Using molecular biology, they synthesized particles to mimic the shape of the virus. They were aware of the fact that similar shaped virus would help in triggering an immune response against HPV. In March 1991, they assembled two proteins into a virus-like particle which resembled the HPV shell. The result of the discovery was the Gardasil vaccine which was developed. Following three years of designing, in 1998 the first human trials for Gardasil wERE conducted. Following this, he took up the position of a professor in the university’s department of medicine. The clinical trials of Gardasil confirmed that the vaccine was highly effective in protecting women against infections by two strains of HPV that caused 70 per cent of cervical cancers and two strains that caused 90 per cent of genital warts. Watching the benefits of vaccine in women and men across the globe, he worked with several organizations to make the vaccine available to developed and less-developed countries of the world. Today the vaccine is in use in more than 120 countries of the world. Currently, he teaches immunology to undergraduates and graduate students at the University of Queensland. 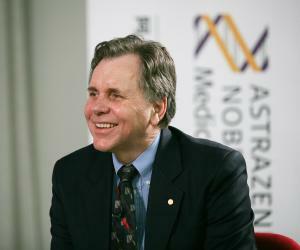 He serves as Cancer Council Australia president and is the Chairman of the ACRF's Medical Research Advisory Committee. Furthermore, he also advises the WHO and the Gates Foundation on papillomavirus vaccines. In the field of research, he serves as the CEO and Director of Research at the Translational Research Institute. Furthermore, he is currently researching on immunoregulation and immunotherapeutic vaccines and VLP-based vaccine against hepatitis C.
In 2014, his vaccine against genital herpes stormed the news as it is believed to have passed the human safety trials on 20 Australians. If the reports are to be believed the vaccine would help prevent the infection and help in fighting against the disease in existing patients. He is also said to be working on vaccinations for dengue fever. If the nature of his progress is to be believed, it is expected that HIV vaccines should be available by 2028 and vaccine for skin cancer caused by HPV by 2020. 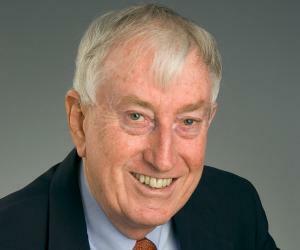 Over the years, he has been bestowed with numerous awards including the Australian Biotechnology Award in 1999, Business/Higher Education Round Table award for Collaborative Research 1999, Centenary Medal for services to cancer research in 2003, John Curtin Medal and CSIRO Eureka Prize for Leadership in Science in 2005. In 2007, he was conferred with various awards including Novartis Prize for Clinical Immunology, Golden Plate recipient at International Achievement Summit, International Life Award for Scientific Research, Merck Sharp & Dohme Howard Florey Medal and Clunies Ross Award. In 2008, he received the Balzan Prize for Preventive Medicine and American Academy of Dermatology Lila Gruber Award for Dermatology. Furthermore, he received the Prime Minister’s Prize for Science. In 2009, the Australian Medical Association awarded him with a Gold Medal. In 2011, he was elected as a Fellow of the Royal Society. Additionally, he holds fellowship of important organization including Royal College of Physicians of Edinburgh, Royal College of Pathologists of Australasia, Australian Institute of Company Directors, Australian Academy of Technological Sciences and Engineering and Australian Academy of Science. In 2012, he was named as a National Living Treasure by the National Trust of Australia (NSW). 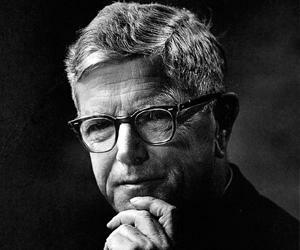 Same year, he was honoured with the title of Companion of the Order of Australia (AC) for his service in medical research. In 1976, he first met his future wife-to-be Caroline whom he married the same year. The couple has been blessed with three children, out of which two are doctors and the third a veterinarian studying medicine.